The HMS Pandora was a British naval frigate of the late eighteenth century. She was in use during England’s threatened invasion by France and Spain in 1779, and in American Revolution. The Pandora captured or helped capture several American privateers. But she is best known for her final mission, in 1790—to capture and return the mutineers of HMS Bounty. The Pandora set sail Nov. 7, 1790, with Edward Edwards as captain. At the start of the voyage, 134 men made up the crew. Most were English, Scottish, Irish, or Welsh, but there were also quite a few Germans and Scandinavians. Their mission was to recover the Bounty, capture the mutineers, and return them to England for trial. The refitted ship had twenty six-pound guns and four eighteen-pound carronades. Lots of firepower. They sailed by way of Cape Horn, arriving in Tahiti March 23, 1791. In Tahiti, they found fourteen of the Bounty’s former crew. Two others of the Bounty men had been killed there since the mutiny. Four of the survivors had remained loyal to Captain Bligh, but had not been set adrift with him. All of the fourteen men in Tahiti at that time either turned themselves in to Edwards or were captured by his men. The mutineers had split up. Eight of them had left with Fletcher Christian, who led the uprising, to set up a new home on the then uncharted island of Pitcairn. They took a number of Polynesian men and women with them and burned the Bounty to avoid detection. Though the Pandora searched for months, stopping in at several islands, these men were never recaptured. The colony at Pitcairn was not discovered until 1808, after all but one of the men had died. Descendants of Christian and the other mutineers still live on Pitcairn. For three months, the ship sailed about, stopping at various islands in fruitless search of the rest of the escaped mutineers. During this period, fourteen of the Pandora’s crew went AWOL with two of the ship’s small boats, perhaps succumbing to the same allure of the islands as the Bounty’s crew had before them. At last the Pandora headed home via the Torres Strait. She wrecked on the coral of the Great Barrier Reef, off the coast of North Queensland, Australia, claiming the lives of 35 men. These were thirty-one of the Pandora’s crew and four of the prisoners. A crewman had unbolted the cell, allowing ten of the prisoners to escape before the ship sank. After two nights on a small sand cay, the remaining eighty-nine men of the ship’s company and ten prisoners set out in four open boats, hoping to make it to Timor, where Captain Bligh had sailed with the other eighteen displaced Bounty officers and crewmen a couple of years earlier. 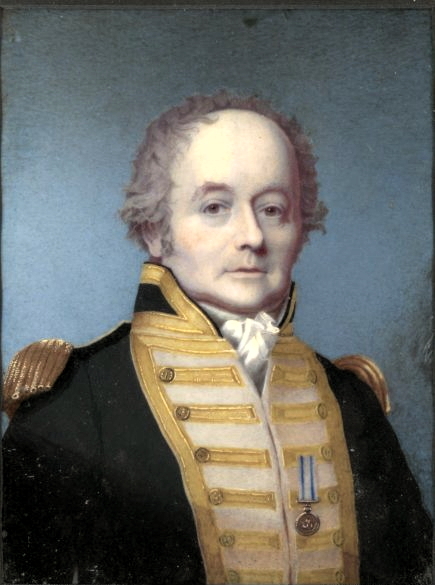 Bligh’s accomplishment of navigating 5,800 kilometers (3,100 miles) in an open boat is seen as one of the greatest navigational feats in history. 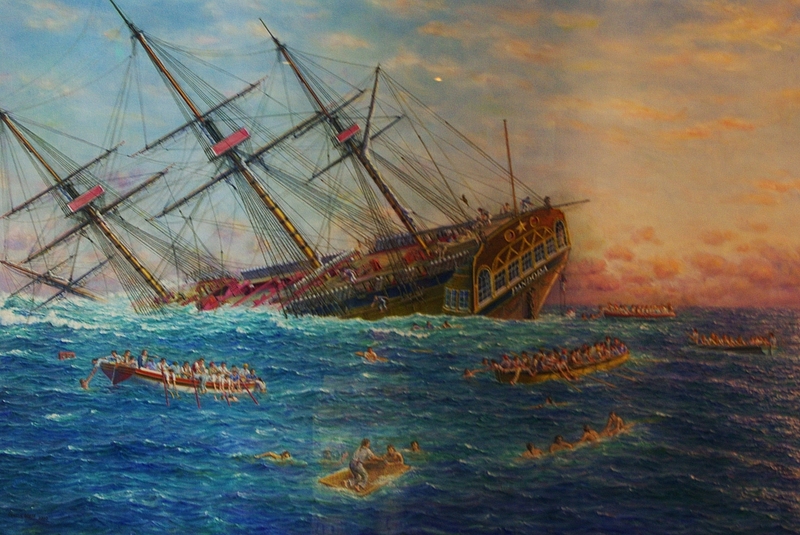 Sinking of the Pandora, painting by Peter Heywood, one of the mutineers who survived. The Pandora’s captain and crew arrived in Timor Sept. 16 and went on to Batavia (modern day Jakarta). Sixteen more men had died on the way after surviving the wreck. One man deserted in Capetown while on the way home. Eventually, 78 of the original 134 crewmen made it home. Captain Edwards, after a court martial, was exonerated in the wreck of the Pandora. No attempt was made to salvage the ship at that time. 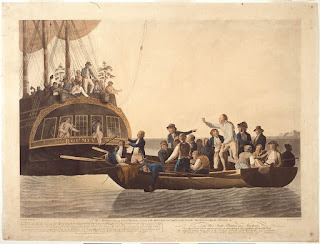 The ten surviving prisoners were tried for mutiny. Four were found innocent. Three of the six found guilty were hanged. The other three were either pardoned or acquitted. A final note: the wreck of the Pandora was rediscovered in 1977. It was declared a protected site under the Australian Historic Shipwrecks Act of 1976. The Queensland Museum gradually excavated part of the wreck. A large collection of artifacts is now on display at the museum. Love sea stories? Leave a comment to enter a drawing for a copy of The Seafaring Women of the Vera B., by Susan and her son James. Susan Page Davis is the author of more than sixty published novels. She’s always interested in the unusual happenings of the past. Her newest books include The Seafaring Women of the Vera B. and The Cowboy’s Bride Collection, which was recently named to the Publisher’s Weekly Bestselling Religious Fiction List. She’s a two-time winner of the Inspirational Readers’ Choice Award, and also a winner of the Carol Award and the Will Rogers Medallion, and a finalist in the WILLA Awards and the More Than Magic Contest. Visit her website at: www.susanpagedavis.com . 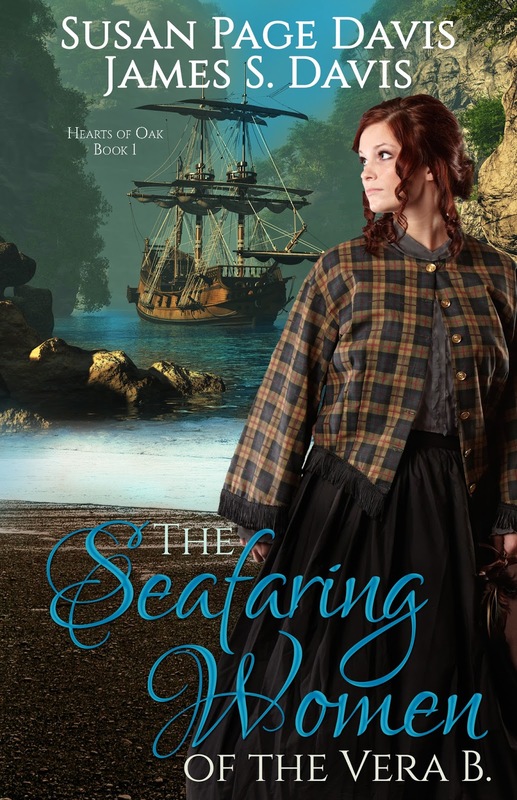 I LOVE seafaring tales and would love to win this book. This was a really good post. Thanks so much for sharing. Thank you, Debbie, Dawn and Connie. I love reading about and writing about sailing ships. The crews always offer plenty of interesting characters! Being a sailor sounds like a pretty dangerous career choice! I can't imagine being the family back home and not seeing or hearing from your loved ones for months on end. I agree, Patty. Back then, it was a very dangerous profession. I'm always amazed at the instant communication and rapid transportation we take so much for granted. I knew about the Bounty of course, but I did not know about the Pandora. Very interesting. This book looks like one I would really enjoy reading. Thank you for the chance to win a copy. Thanks, Susan, and thanks for entering. I read Nordhoff and Hall's Bounty trilogy in high school and sporadically read up on what's happened at Pitcairn since then. The topic has interested me most of my life. Wow, what a fascinating post. I've always been interested in reading historical things and seafaring tales are fascinating. I would love to read The Seafaring Women of the Vera B., by Susan and her son James. Thank you for the giveaway opportunity. Same here, Deanne--Horatio Hornblower is one of my favorite characters. That was a very interesting story. I can't imagine how they managed to survived. Thank you. I would love to read The Seafaring Women of the Vera B. Thank you, Jan. Being in a shipwreck is NOT on my bucket list. These were dangerous times and I can't imagine waiting for your seafaring husband or son to return safely. How fascinating! I love this type of stories. I would love to win this giveaway. Thanks so much for sharing. Thank you for the history lesson and for the chance to win this awesome book!